Based in Grays in Essex, Flowers by Zoe was started by Zoe and Bryan with the aim to offer the best floristry service in the region for a multitude of occasions. 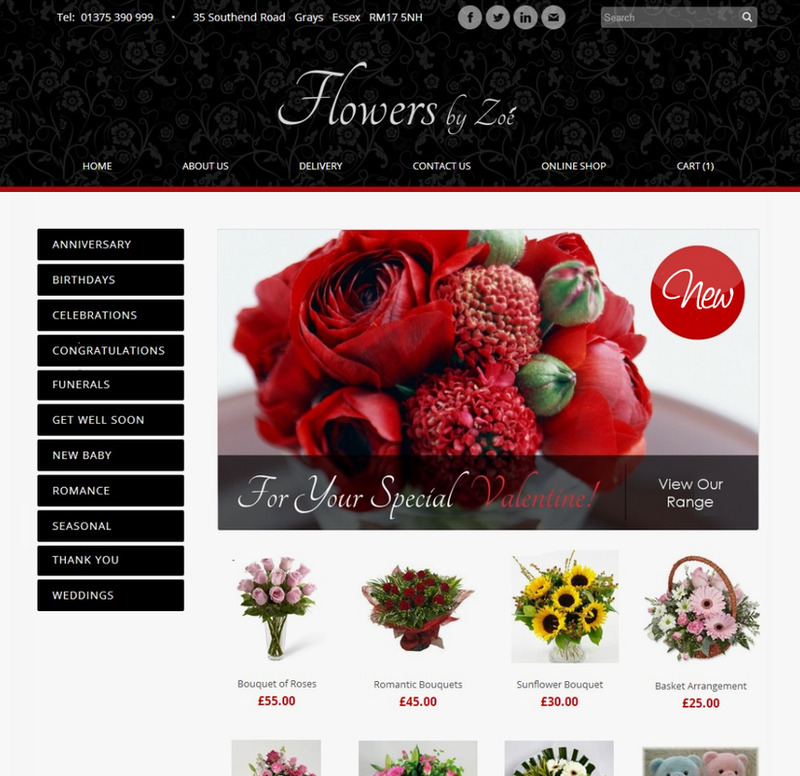 Flowers by Zoe wanted a modern looking website with eye catching banners and a secure e-Commerce shopping cart for their customers to pay online. This responsive design was built to accommodate all types of devices for people on the go with an integrated CMS.